Welcome to Day #25 of Chocolate and Peru Theme Week. 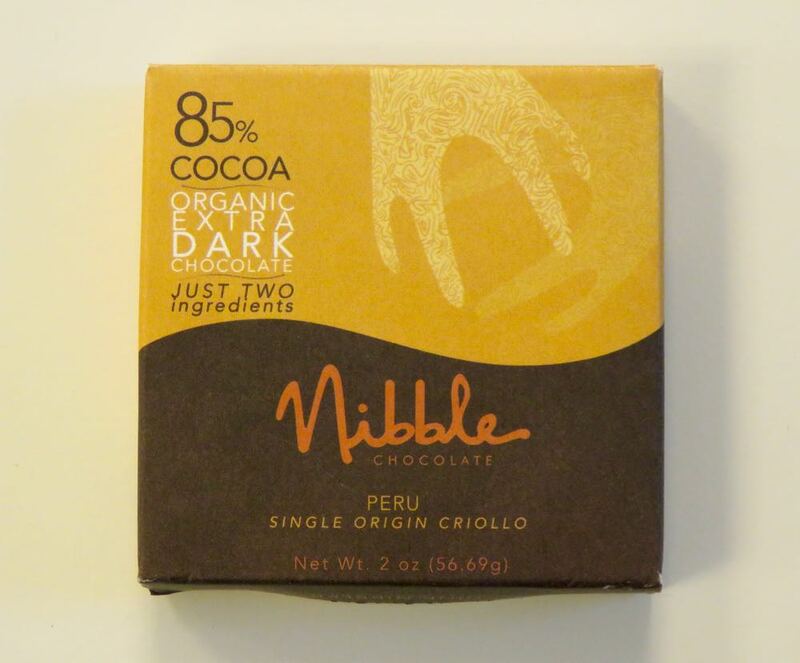 Today's 85% Cocoa Organic Extra Dark Peru bar was from Nibble Chocolate, LLC (San Diego, CA). 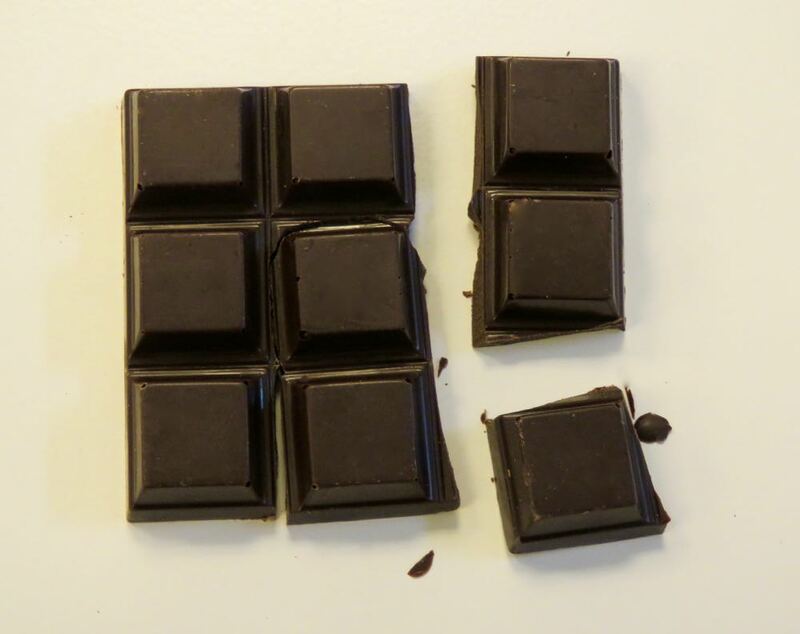 This ultra-dark chocolate "Nine (square) Nibbler" bar had a fairly pronounced dried fruit (fig) aroma and flavor and very slight green and coconut notes, with a balanced bitter-sweetness.